For this mani, I put two coats of 506 over one coat of China Glaze Liquid Leather. Most multichromes/duochromes should be layered over dark colors to make their true magic shine. 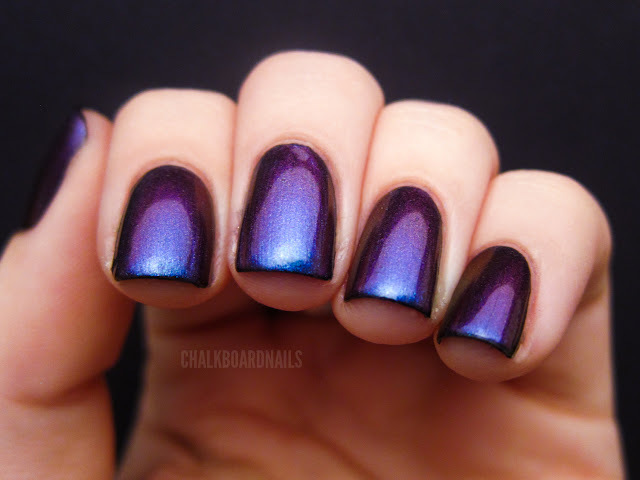 This polish is so multifaceted that I took about a billion pictures for you to check out. Let the pic spam commence! 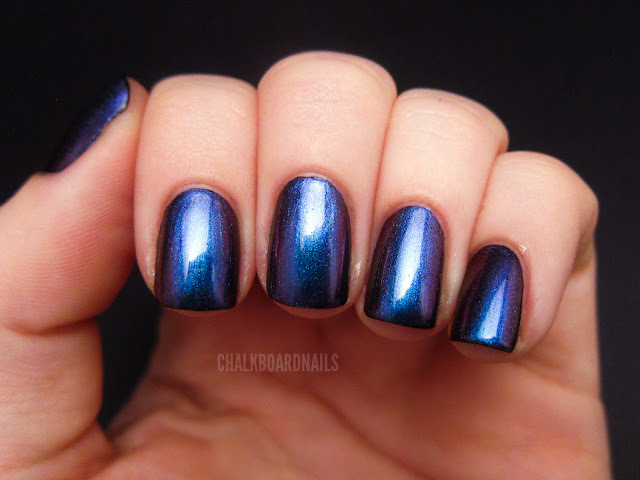 The polish appears blue in most lights and at direct angles, with faint purple tinting around the edges, as shown in this next photo. 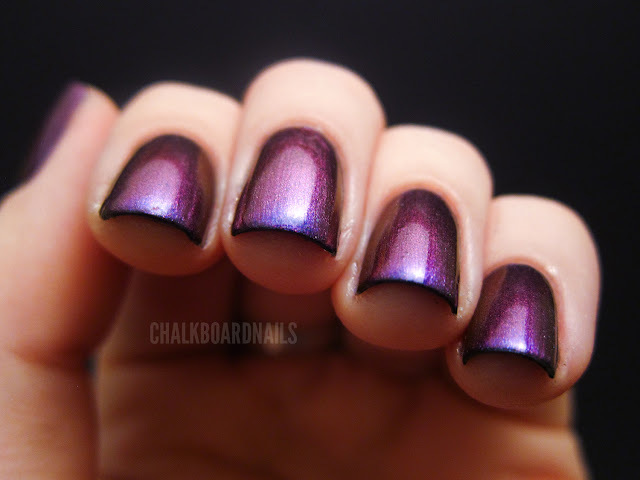 Then, as soon as you tilt your nails to a bit of an angle the purple blooms into view! 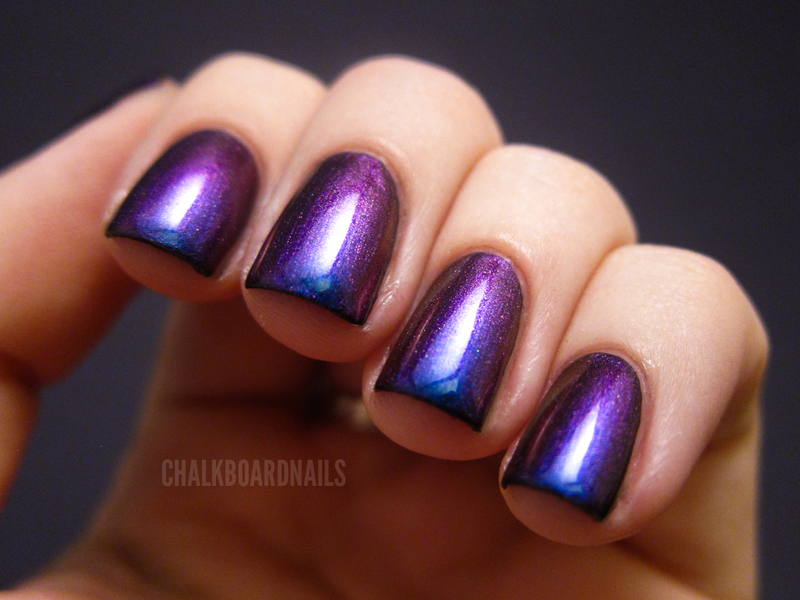 Here's what the polish looks like with flash. This is also what it looks like under direct, bright lighting. In these circumstances, you can see a lot of sparkle, and the polish looks decidedly aqua. 506 went on like a dream. Two thin, easy coats, no lumps, no bumps. Topped it with Poshe topcoat and that was it. Look how vibrant it is. I just... I dunno what to say about it! It's a dream! 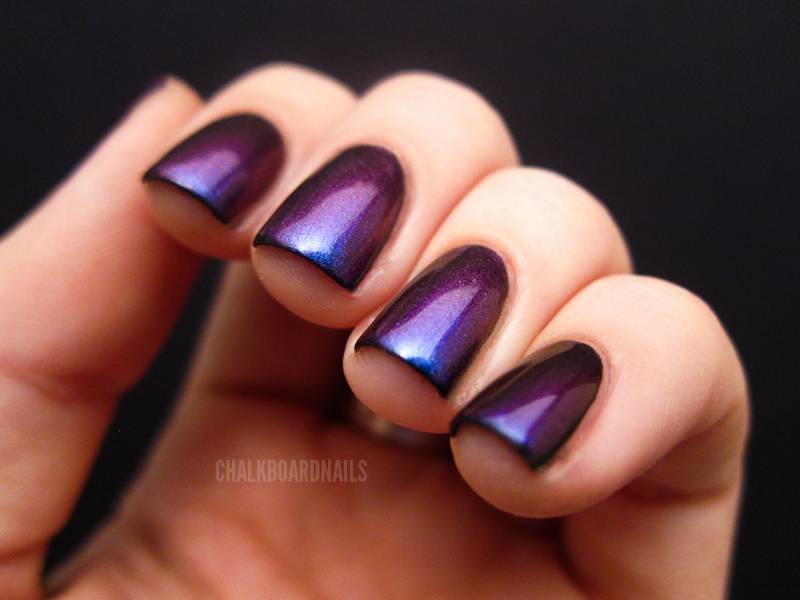 I purchased 506 from Stephanie at http://packerlacquer.blogspot.com -- you can contact her there if you are interested! and love your new layout!! 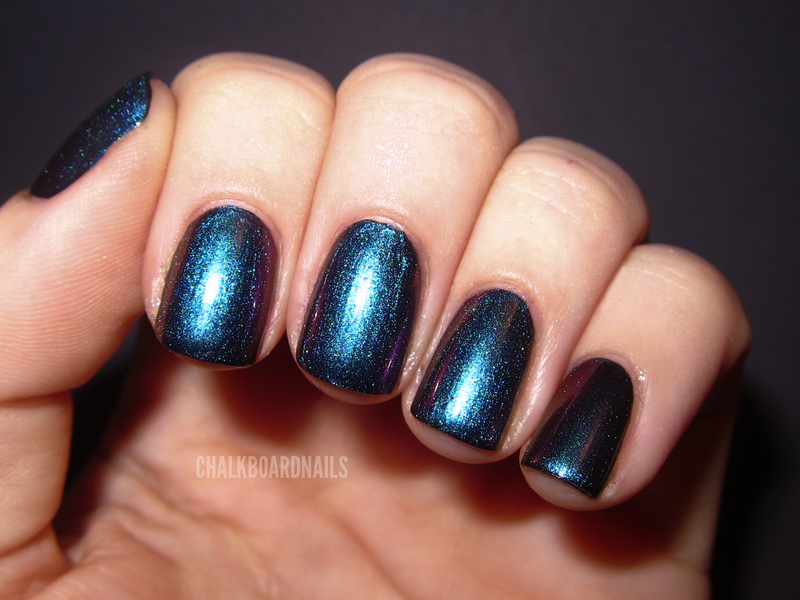 this is a gorgeous nail polish!! Perfect choice for your header! I lurve it. Love it! Might have to go out and find me a bottle. So gorgeous! Reminds me of the old Sally Hansen prisms. I should dig those out! I actually just swatched this yesterday! It is so pretty! Pretty colors! Love your new layout! Sooooo pretty.. duochromes like these are awesome! Gah so gorgeous!! I need to get my hands on this! This is so gorgeous! I think I gasped a bit when I first saw the pictures.. I'm such a beauty-nerd lol! :OOOOOOOOOOO <-that's my jaw dropping!!! All those pics are the same polish!?! Might just have to get some myself!! 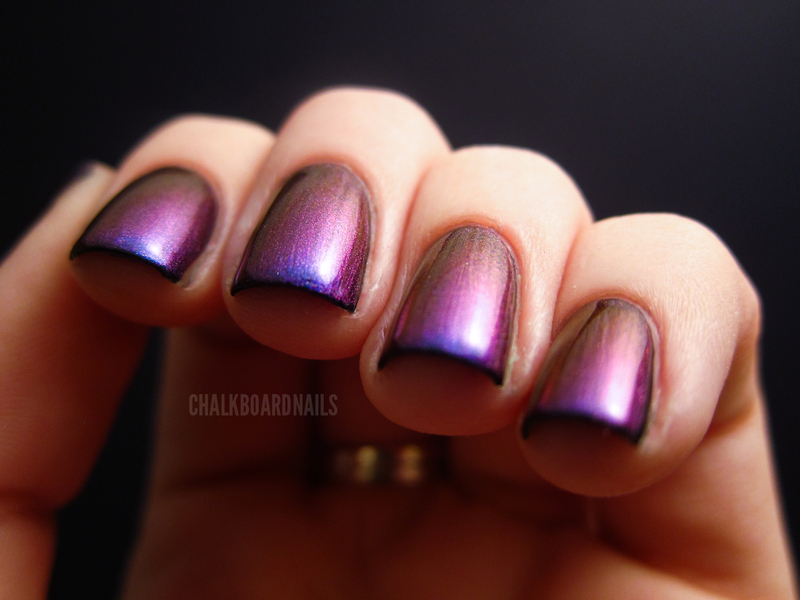 I have a serious infatuation with Ozotic multi-chromes. I cannot get enough of them, 506 is gorgeous!! I ordered this from Stephanie as soon as I saw your post yesterday. Yehaw! I'm excited to get it! I absolutely am in LOOVEEE with this!!! MUST. GO. BUY! I am so glad I came across your blog! I love the 506 soooo much! And thank you for posting a link to a Canadian retailer. That helped me out a lot. Thanks for directing me here! LOOOOVE this look! 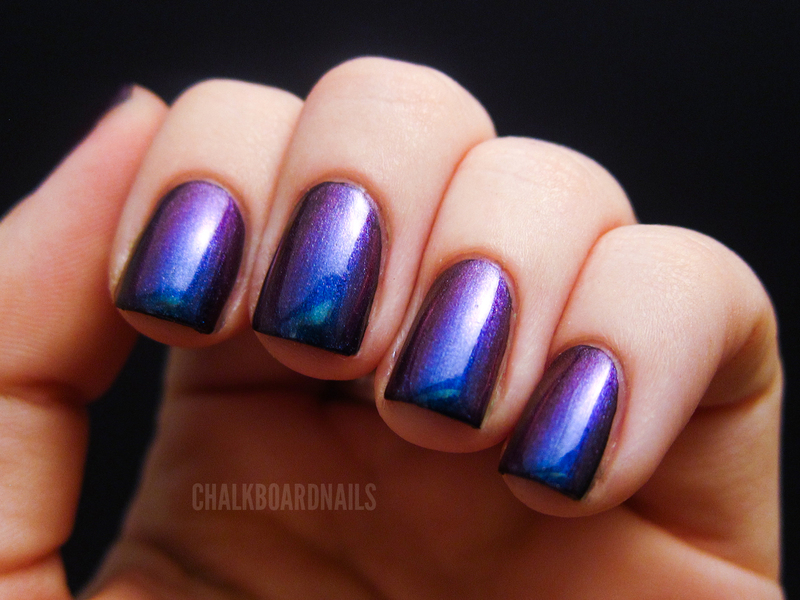 Very beautiful nails... I love them. Thanks for sharing. Today is my happiest day ever! A friend of mine vacationed in Australia and this morning she came to me at work and handed over a little package with Ozotic 505 and 506. I´m. In. Love! <3 All thanks to you! I love 506 even more than Chanel Blue Satin that has been my favorite for the last 5 years or so.